Lake Indoon is a picturesque freshwater lake and an ideal location to participate in a variety of water based activities. Spend a few days at the campsite to explore much of the lake which is renowned as a premier location for waterskiing. Take a swim or jump in a canoe and explore the lake. 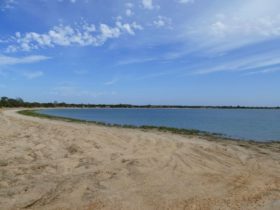 Children will love the calm waters and the sandy beach which surrounds most of the lake. Enjoy a walk along the beach to gain an appreciation of the sheer size of the lake and spot some of the varieties of water birds. Keep an eye out for the kangaroos and emus that inhabit the surrounding bushland. Set up camp and enjoy the peaceful silence across the lake at night. The campsite offers fresh drinking water and hot and cold showers as well as barbecue facilities to cook your evening meal. For lake level and conditions please contact the Shire of Carnamah. 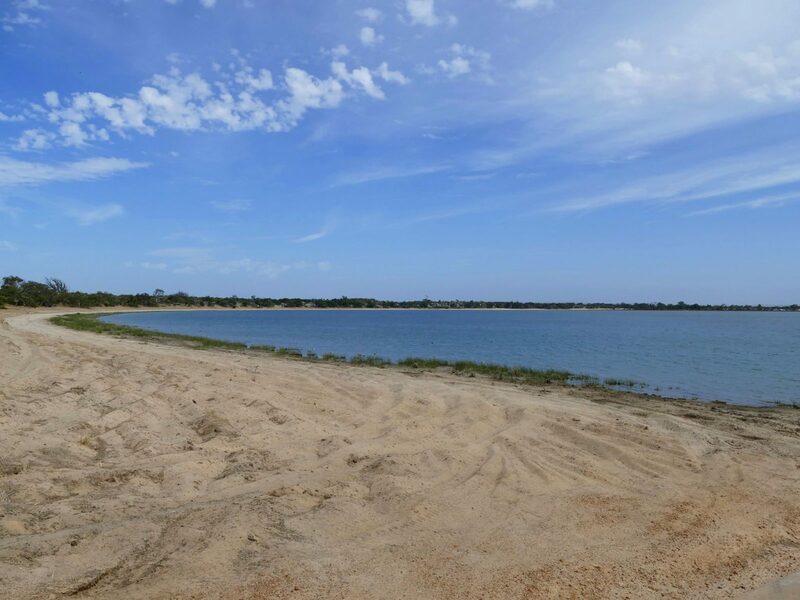 Lake Indoon is a short drive from Carnamah and just less than four hours’ drive north of Perth.